Every year in the Spring, my son’s Cub Scout Pack spends one month focusing their efforts on compassion. 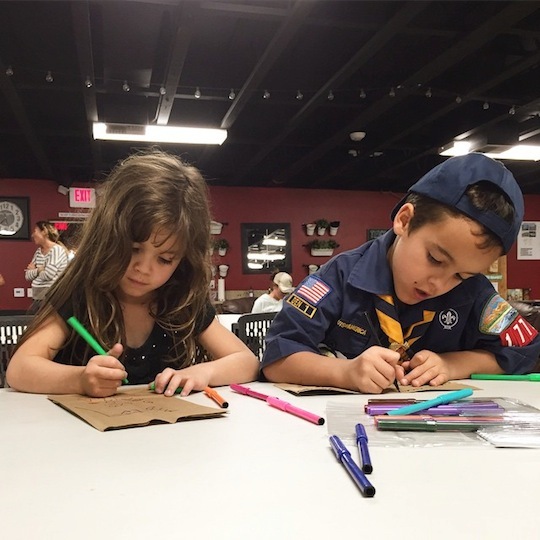 The activities during this particular month are focused on helping the Scouts develop an awareness for others and their needs. Each year, our pack puts together Love Lunches which we as a family give out to those individuals in our community that we identify as having a need. Typically, these individuals live on the street and are without a home. What’s interesting about the individuals who we provide Love Lunches to is that we don’t have to go far to find someone in need. We live in Orange County, California, often deemed an affluent community. Yet homelessness and hunger do not discriminate. Despite its reputation and appearance depicted in media, Orange County is listed among the top 10 counties and metropolitan areas where food insecurity is highly prevalent. Even if you don’t live in Southern California, there is likely someone in your community without consistent access to food, because, according to the USDA, 1 in 7 Americans (48 million people) are currently struggling with hunger, 15 million of which are children. For years, my kids and I have sought out ways to make a difference in our community, particularly as it relates to hunger, so I’ve put together 5 Ways To Teach Children About Hunger. Show Kids The Proximity of the Need: When we see a mother holding her child in the middle of a parking lot, asking for assistance, or a homeless man asleep on a park bench, I dialogue with my kids about how we can help. Generous children who are sensitive to the needs of others often grow up to be compassionate adults. Put Together Love Lunches: In our family, it isn’t enough to simply be aware of a need. Understanding how pervasive the issue of hunger is compels us to act. 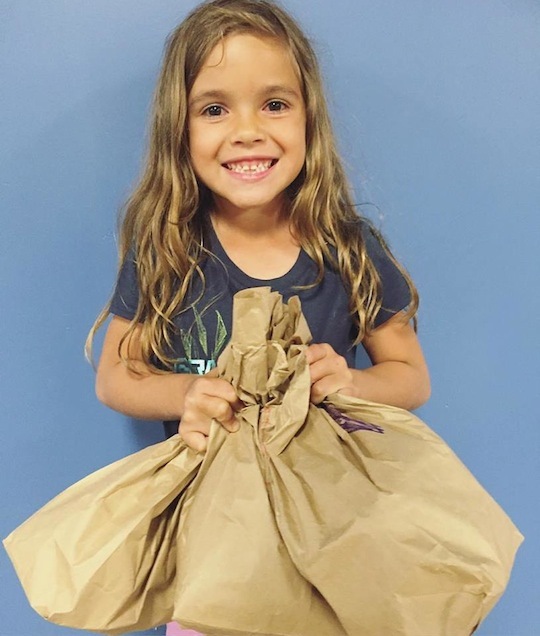 Putting together brown bags filled with shelf-stable food items and travel-size toiletries is a simple way to show kindness, help alleviate a person’s hunger, and provide dignity, even for just a day. Sponsor a Child: Beyond a simple donation, sponsoring a child helps families form a personal connection with those in need. Some organizations allow your family the opportunity to communicate with the child and receive updates on how your sponsorship is helping to improve their quality of life. Volunteer at a Food Bank: The first time I volunteered at a local food bank, I walked away with a greater understanding of our community’s local need and how vital and impactful organizations like Feeding America are. 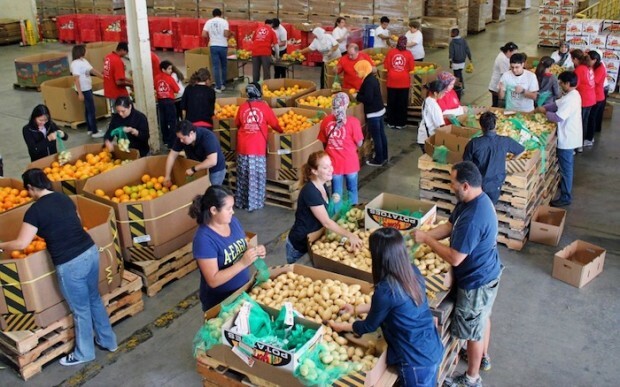 Second Harvest Food Bank, in partnership with local charity organizations, feeds more than 200,000 people struggling with hunger every single month. An afternoon here will change your perspective on hunger in America. Shop and Donate: If you’ve visited your local Walmart of late, you likely noticed the “Fight Hunger. Spark Change.” signs throughout the store. This Spring, Walmart is committed to the fight against hunger, and through this campaign, will provide 4 billion meals to individuals across the country in need by 2020. As a family, you can join the fight against hunger by purchasing food products from your favorite brands including Campbell Soup, General Mills, Kellogg’s, PepsiCo and the Kraft/Heinz. For every product purchased by April 25th, 2016, Walmart will donate 9 cents to Feeding America which will secure one meal on behalf of local food banks. Simply donate those food products to your local food bank, if desired. You can also donate during checkout or online by visiting Walmart.com/FightHunger. As part of Walmart’s Fight Hunger. Spark Change. campaign, you can also use your social media channels to show your support. Simply use the hashtag #FightHunger on Twitter, Facebook and Instagram, or use the designated Snapchat filters in select stores, and Walmart will donate enough to help Feeding America secure 10 meals ($.90) up to $1.5 million. Combined with Walmart’s initial donation of $1.5 million, the hope is that with your help, they will reach a total of $3 million in donations to help alleviate our nation’s hunger epidemic. For more information or to find out how you can be involved, visit Walmart.com/FightHunger.